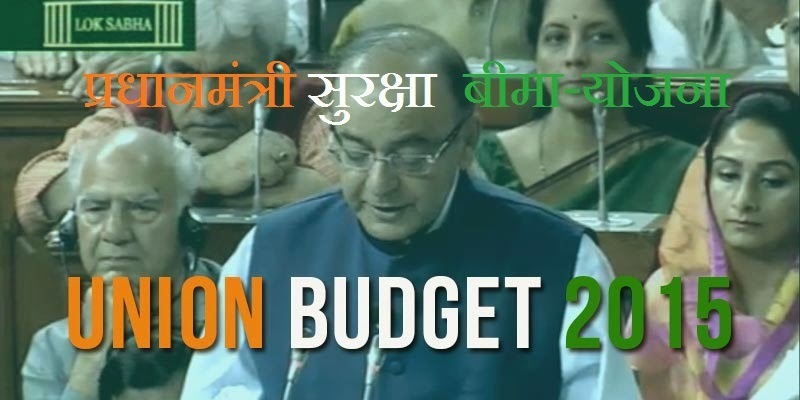 Government of India has launched a new low cost Personal Accident Insurance called Pradhan Mantri Suraksha Bima Yojana (PMSBY) in Budget-2015. In his budget speech Mr. Arun Jaitley highlighted the fact that majority of the Indian population is without any kind of Insurance. This is one among the 3 schemes which were announced in the budget. The other two being Pradhan Mantri Jeevan Jyoti Bima Yojana and Atal Pension Yojna. These schemes aim to address the low penetration of Insurance and Pension schemes by providing financial safety at a low premium. They also seek to leverage the success of Jan Dhan Yojana under which millions of bank accounts have been opened. This scheme will be available from 1st June 2015. Q. Who is eligible to opt for the scheme? Q. What is the premium and how do I apply for the policy? A. Premium is Rs. 12 per annum which will be directly debited from the bank account of the insurance holder. This is the only medium available to make the payment and anyone looking for this insurance has to instruct there bank by filling out a simple form before 1st June to opt for the policy. Instruction to debit premium from the bank account has to be given every year or a standing instruction to deduct premium every year automatically from the bank account can also be given. Name of the nominee has to be given in the form. Q. What is Risk Coverage under the scheme? Q. Who will offer the scheme? A. This scheme will be offered by all Public Sector General Insurance companies and any other insurers willing to offer it by tying up with the banks. The premium paid under the above scheme will be tax free under section 80C. The scheme cover is not sufficient for the middle class but it does offers a good insurance cover for the underprivileged sections of the society as a similar policy is currently being offered at a premium of Rs. 80 to 100 in the market. It can be suggested by you to a maid or a car driver. Middle class will be looking at a insurance policy of Rs. 50 lacs which comes at a premium of Rs. 6000.